Maria Bartiromo: "What are the alternatives?" 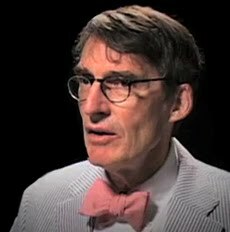 Jim Grant: "Capitalism is an alternative for what we have now. I highly recommend it." Maria: "The Federal Reserve may not." Grant: "We ought to be discussing an intelligent move to a sound currency by which I mean a currency that is based on a standard and not at the whim and the discretion of a bunch of mandarins sitting around Washington D.C."
James Grant originated the "Current Yield" column in Barron's before founding Grant's Interest Rate Observer in 1983. He is the author of five books, one of which is Mr. Market Miscalculates (Axios Press, 2008). of Grant's Interest Rate Observer, a twice-monthly journal of the financial markets, he is the author of Money of the Mind (1992), The Trouble with Prosperity (1996), John Adams: Party of One (2005) and Mr. Speaker: The Life and Times of Thomas B. Reed, the Man Who Broke the Filibuster (2011), among other works.